Doctor of Medical Heilkunst (DMH) CoRe Bioresonance Practitioner SCENAR Therapist. Rudi is a member of the Faculty: Dean. Rudi Verspoor has two decades of extensive clinical experience in treating complex and chronic illnesses. He has written several books based on his research and clinical experience. Rudi also writes a blog. Rudi Verspoor has been studying Hahnemann’s medical system for more than two decades and has acquired extensive clinical experience, particularly relating to complex and chronic cases, in the application of this system. His abiding interest in history and philosophy has led him to undertake continual research into various problems and issues that have arisen in traditional homeopathic treatment. This research has led to the development of a systematic dynamic approach to therapeutics that is now being offered in a comprehensive form to others through a five-year program. 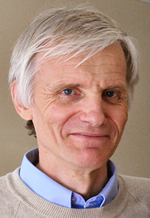 Rudi Verspoor has written several books providing new insights based on his research and clinical experience and has lectured widely in Canada, the US, the UK and Europe. He served as the Director of the British Institute of Homeopathy Canada from 1993 to early 2001, and developed their Homeopathic Practitioner Diploma Program. He has taught extensively both in-class and on a distance learning basis. His previous experience has been in public policy, planning and administration. He helped to found and is still active in the National United Professional Association of Trained Homeopaths (NUPATH) and the International Heilkunst Association (IHA). He has advised government on health-care policy. Part of his time is spent advising the Canadian government on health-care policy and in working for greater acceptance of and access to homeopathy and Heilkunst amongst policy makers and the public. His publications include: Homeopathy Renewed, A Sequential Approach to the Treatment of Chronic Illness (with Patty Smith); A Time for Healing; Homeopathy Re-examined: Beyond the Classical Paradigm (with Steven Decker); The Dynamic Legacy: Hahnemann from Homeopathy to Heilkunst (with Steven Decker). He also has written various articles for Canadian and International journals.